This is our lavish, hardcopy version of the magazine - a subscription you'll love to receive. Resubscribers use the 'Resubscribe' item. Better Photography magazine is published four times a year. 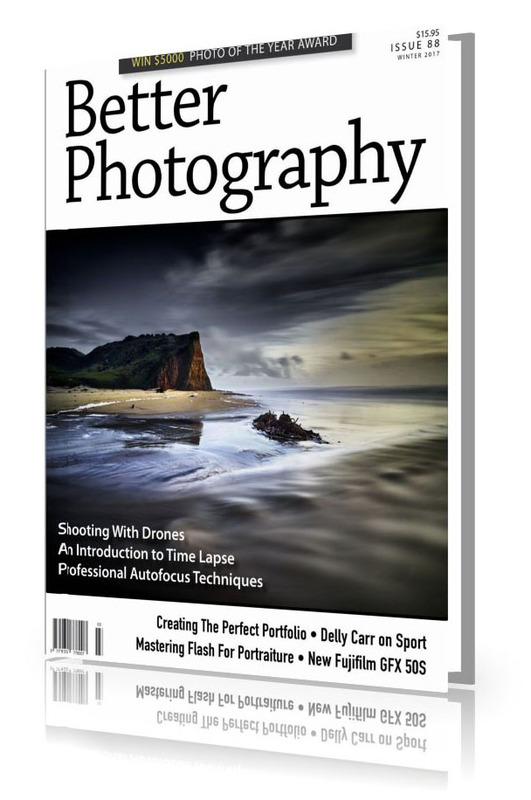 It comprises a high quality, 100-page magazine that features articles on photography, techniques, equipment, portfolios and Photoshop. It is the photographer's magazine and is acclaimed as Australia's leading photography magazine. All new subscriptions will start with the next issue due out. If there is a current issue on the newsstands that you would like, please make a note in the comments section when placing your order, otherwise we will start with the next one, which could be 3 months later as we publish quarterly. FOR DELIVERY ADDRESSES OUTSIDE AUSTRALIA, PLEASE USE THE OUTSIDE AUSTRALIA SUBSCRIPTION ITEM INSTEAD. If you are re-subscribing, please use the 'Resubscription' product instead. If you would like to purchase a subscription to the magazine as a gift, here's how to ensure we send it to the right person. 1. Register and log on with your correct address. 2. Add the subscription to your Cart and go to the Checkout screen. 3. When you're at the Checkout, scroll down and you will find the section called Shipping Information. Click on the link that says Add a New Shipping Address. 4. A new screen will open. Give the address a name (like Present 1) and add in the name and address of the recipient of your gift. Save. 5. When you return to the Checkout screen, ensure the new address is selected and then continue with your purchase.